Experience an activity for your group that is social and creative. Team-building activities can be tailor-made to suit your group. Participants will have fun learning a new skill whilst being challenged to work together and help each other. Meet award-winning ceramic artists that will coach your entire workshop! Your creations will be glazed and fired for you to collect a few weeks later. Would your group like an activity that is fun and social whilst challenging to learn a new skill? Our corporate classes can be tailor-made to suit your company or your group of people. 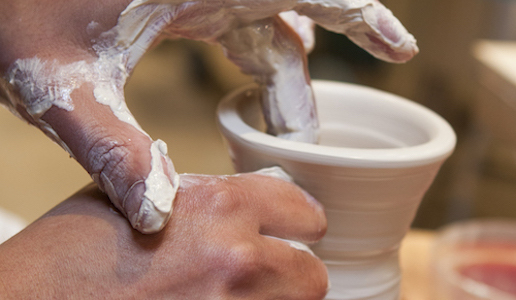 Choose a group activity based on either the pottery wheels or free-form hand-building. Maximum number is 20 but we can take less so please ring us to discuss your individual needs before booking. All pieces made can be glazed and fired for you to collect a few weeks later.